Just spotted a new Google search feature – Wonder Wheel. (update – ’tis gone, dead, buried). After typing in your search term you can press “Wonder Wheel” down the left hand side. 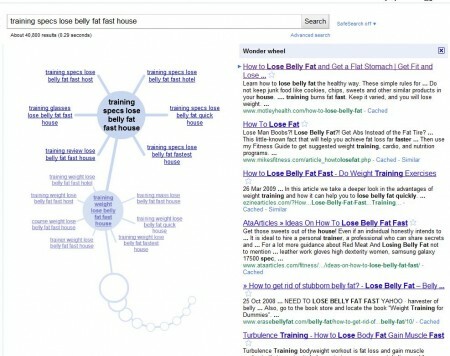 It shifts the search results to the right and gives your a wheel of options, alternative searches. You can then click one, it will display results for that search, then give more options. An interesting way to refine a search. and also an interesting insight into how Google relates similar searchers. Below the wheel you can see a trail of circles. Each one represents a search option that I followed. 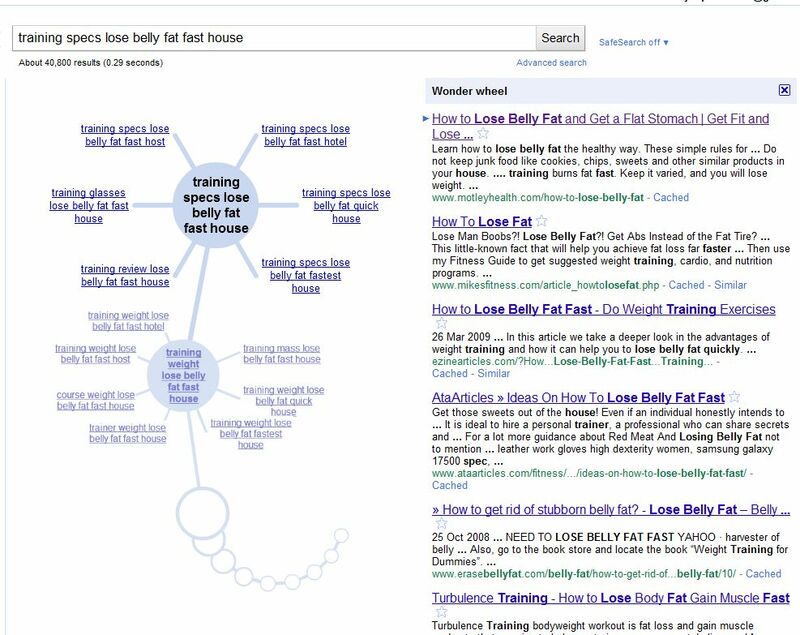 We end up with a pretty obscure search really, but it does beg a question – are all of these real searches that somebody has performed in the past, or are they made up based on relations between keywords on similar sites. I cannot help thinking that this Wonder Wheel must be providing a fascinating insight into how Google works, but at the moment, I have not quite worked it out. Certainly more fun that relying on Google Instant to chose keywords…. I have just discovered the wonder wheel. I enjoy using it, as you say preferable to Google Instant.